Friday, April 13, 2018 was not a victory, but a slap in the face. While I appreciate the steps that the Board of Education has taken to approve ethnic-specific courses of study, it did not come without its insults. Friday, 9 of my 14 colleagues told me how they believe I should identify: “American of Mexican Descent.” What does that mean? How do any of them expect this title to resonate with any of our scholars who identify as Mexican American? More importantly, who do any of them think they are to tell me how I should identify? Over the last 4 ½ years, we have heard from communities who are directly impacted by Mexican American Studies courses; we have listened to scholar after scholar, expert after expert present on the positive impact Mexican American Studies courses have on ALL scholars. The time has finally come to call this what it is…DISCRIMINATION! The time for cloaking bigotry and/or fear of diversity under the guise of “patriotism” and “Americanism” is over. I am wholly American, as I am wholly Mexican, as I am wholly a wife, mother, daughter, sister. My experience is as American as apple pie, because guess what, my ancestors were on this land well before it was conquered and named America. My colleague from Beaumont would have you believe that “hyphenated Americanism” is divisive…BULL! Again, what does that even mean? I PROUDLY identify as Mexican American and take exception to the idea that I am a hyphenated American and that my identity is divisive. That goes against everything I stand for. I serve as a State Board of Education member of color, specifically to ensure that there is inclusivity in our curriculum, our textbooks and our discussions; something that has not historically taken place; something that I alongside, Ruben Cortez, Erika Beltran and Lawrence Allen have long fought for. Pretty words are empty when not backed by actions. Our board Chair read, out loud, a thoughtful message following the discussion on ethnic studies courses. While the verbal sentiment was nice, it doesn’t mean anything when minutes before, the majority of the Board took a vote against naming the course Mexican American Studies. We HAVE to be honest with ourselves and not pat ourselves on the back when we are STILL not listening to the communities who have been pleading for support from policy leaders for 4 ½ years. My colleague from Amarillo, Texas commented that it did not matter to him what the course was called, only that he was pleased that the board had moved in this direction. Based on that logic, I suggested naming the course Mexican American Studies, moving into our June meeting, and was struck down. Where is the sincerity in the effort, then?! Every other ethnic course’s naming convention was accepted and left untouched: African American Studies, Native American Studies, Latin American Studies, and Asian Pacific Islander American Studies. 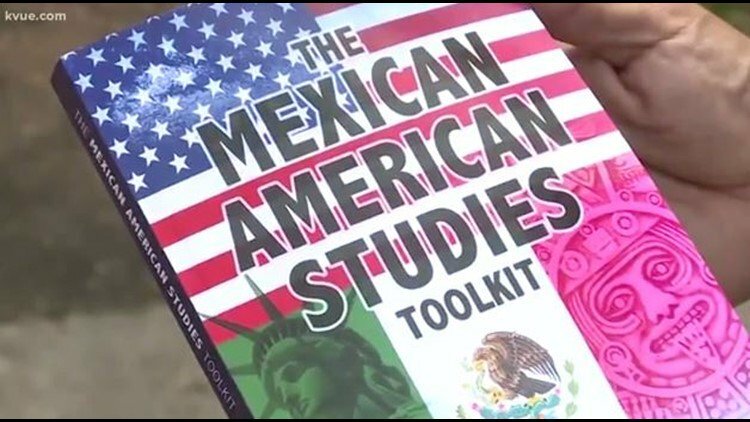 Why was Mexican American Studies singled out? Because this is systemic oppression, institutionalized racism and an inherent fear of THIS empowered community. Can we engage in honest dialogue about the underlying factors, set deep in the shameful history of our state, in order to move past this history and move forward together, to teach beauty in diversity, mutuality and respect for all? Today, we could have ended this argument and done right by our Texas scholars. Today, we could’ve been logical, rational, and equitable in our decision making, but instead, the Republicans of this body of policy makers, presented as politicians. Today we could have advanced Texas history; American history, but the Board decided that a clean, clear move in this direction wasn’t their route. There is no reason why we must begin 5 paces behind the starting line, just to prove we are equal and that our history- which is just as American as any other history — counts. Marisa B. Perez-Diaz (D), the District 3 Texas State Board of Education member, was elected in November 2012 and took office on Jan. 1, 2013. 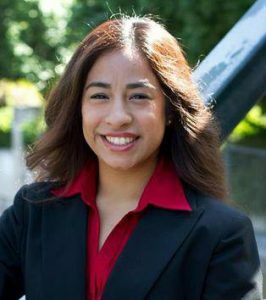 She was the youngest Latina, nationally, to have ever been elected to serve on a State Board of Education. She holds a degree in Sociology from the University of Texas at Austin and a Master’s in Educational Leadership and Policy Studies from the University of Texas at San Antonio.